Gallery 335, a new space in FAB dedicated to showing photography is now soliciting submissions for it’s inaugural exhibition. 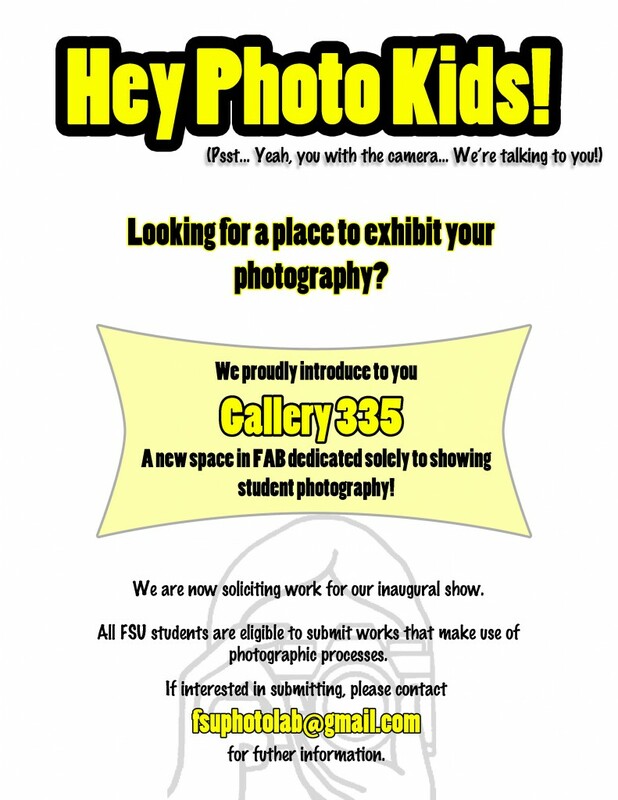 All FSU students interested in photography may submit work as long as it makes use of photographic processes. Please contact us with your interests by October 31st.